Transmission: Hectic Mix will be broadcast on WGXC 90.7-FM in New York as a part of the Radius Sketchpad Series. 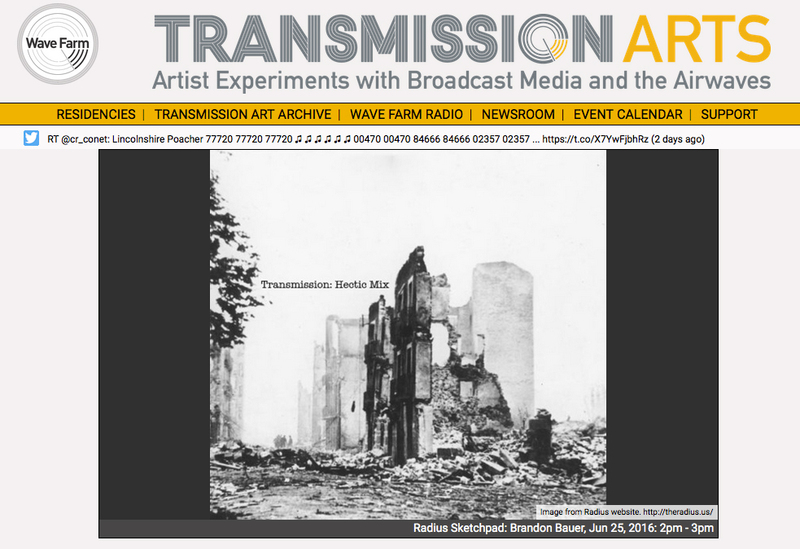 The Radius Sketchpad series is an ongoing monthly radio program produced for Wave Farm’s Transmission Arts Program. The Sketchpad program features a re-broadcast of previous Radius Episodes followed by a playlist of works selected by that episode’s artist. Tune in Saturday, June 25, 2016 from 2pm – 3pm EST on WGXC 90.7-FM Hands-on-Radio in Greene and Columbia Counties, New York, USA. Click here for the episode link. Next 1000 Suns in YIELD!